Kawaii Kitty 3D Video Slot: Expanding Yarn Wild Triggers Respin to Deliver Potential Awesome Wins! Kawaii Kitty, is a 10-payline, pay-both-ways online 3D video slot, showcasing kitty cuteness to the hilt. Game developer Betsoft illustrated the Japanese word for cuteness by adorably presenting kitty thingies as reel icons: Milk, Kitty Brush, Kitty Food, Kitty Toys, and Bow. 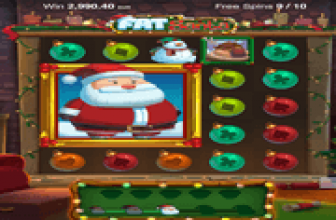 The heartwarming graphic presentation alone is enough to attract cat-loving slot players in particular, in exploring the rewarding features of this online casino content. According to Kawaii Kitty Game Info, this 3D video slot is configured to award up to a maximum of 50,000 coin credits in a single spin. Kittens have a thing for strings and moving things. Yarn balls in particular fascinate them. 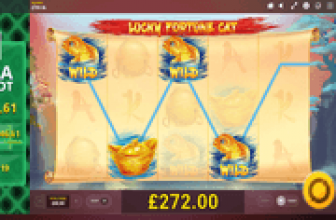 The Yarn Balls icon of this cat-inspired game will surely fascinate slot players too, as it tends to Expand into a Wild Reel. The Wild Expansion attribute occurs whether or not substitution action took place. The Yarn Wild emerges only in Reels 2, 3, and 4. Wild Respin Feature After the outcome of the Wild-producing spin has been evaluated, the non-Wild reels launch a respin. Although unlike other slots with Wild-Respins feature, Betsoft's Kawaii Kitty video slot awards up to one respin only. Nevertheless, the next spin outcome will have a guaranteed Wild Reel in place as the full-reel Yarn Wild stays locked in its position. 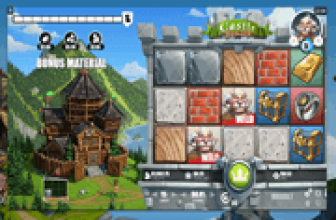 This game's pay-both-ways feature enables players to win on matched symbol grouping aligned in a payline, whether starting from the leftmost column (Reel 1) or from the rightmost column (Reel 5). However, only the longest grouping per payline garners the corresponding payout. In the event the reels return with a five-of-a-kind combination in any payline, the matched-symbol grouping will then be evaluated twice for payouts; one for the winning combo counting from Reel 1, and another counting from Reel 5. The Milk Carton represents the highest paying symbol. Landing on 3, 4, or 5 of the icon awards coin credits of 50, 200, or 250 correspondingly. The happy-faced Kitty Brush ranks as the second top paying symbol, as it awards 25, 60, or 120, respectively. Instead of using the conventional A, K, Q, J, and 10 characters, pretty Kitty thingies are in place as lesser paying but frequently appearing reel elements. Landing on any identical symbol-groupings of the Mouse Toy, Fish-Shaped Cat Cookies, Kitty Bow, Cat Food and Can of Tuna, earn players coin rewards ranging from 5 up to 60. This online casino game has no free-spins round to offer as bonus feature. Players seeking to reap bigger wins have the option to double a recent regular win by staking all, or at least 50 percent (%) on a Heads or Tails guessing game. However, a players could also lose instead of doubling up the bet staked. In order to maintain responsible gaming among Kawaii Kitty slot players, recent wins gained from Expanding Yarn Wild Spin and Respin are not eligible as wagers on Double Up Games. Kawaii Kitty is a pay-both-ways Betsoft 3D Video Slot featuring a Wild that automatically expands once it comes into view as spin outcome. The Expanded Wild comes with a respin feature, in which only the non-Wild reels turn to produce new icons that the Expanded Wild could help complete as bonus win.